Lot 11 - MOVE IN READY! Price Improvement to $495,000 and $5000 buyer credit toward closing costs and/or rate buy down. Close w/in 45 days and receive a bonus Refrigerator, Washer, and Dryer. 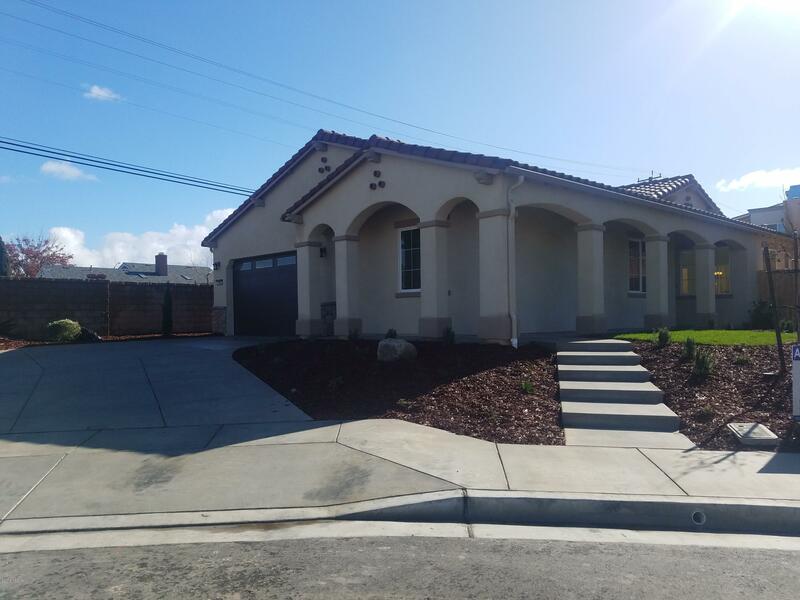 Don't miss your opportunity to own this brand new 3 bed home on a cul-de-sac in Orcutt, CA. This beautiful home has upgraded cabinets with quartz counter tops in the kitchen and master bathroom. Featuring 3 bedrooms, 2 1/2 bathrooms and a generous great room with fireplace and laminate flooring through out the living space. The island kitchen opens to the great room for ease of entertaining. Stainless steel LG appliances compliment this chef friendly kitchen. This home also offers a three car tandem garage. Directions to Property: Highway 101 exit Union Valley Parkway West, Left on S. Bradley, Right on Shultz. We are approximately 3/4 mile down on the right side. Look for the flags.